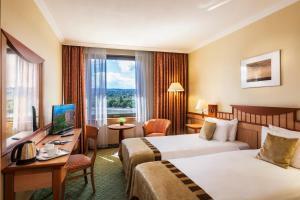 The Danubius Hotel Helia can be found right on the banks of the Danube river opposite Budapest's Margaret Island and offers you great fitness, spa and conference facilities. 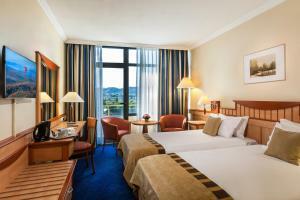 Budapest's historic city centre can be reached within 15 minutes from the Danubius Hotel Helia. There is a spacious car and bus park just outside the hotel. Please note that the hotel's restaurant will be under renovation during winter 2018/2019. 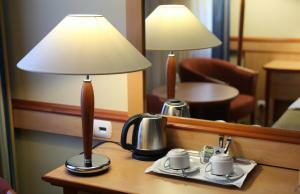 Buffet breakfast and á la carte meals will be served in one of the meeting rooms. The Yellow Bistro welcomes guests at the lobby with a wide range of delicious specialties. Guests can enjoy the newly refurbished restaurant from April 2019. Please note, if you require a booking confirmation for visa application, the hotel will send this to the respective embassy. 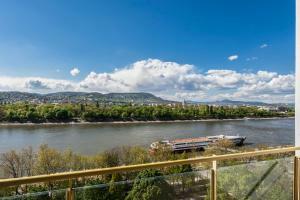 Offers panoramic views over the Danube river. 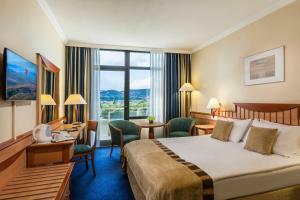 Inter-connected rooms are available on request. Offers views onto Kárpát street. 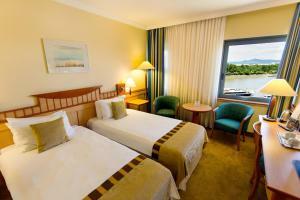 Rate: € 51.75 ... € 200.00; select dates below to get current rates. 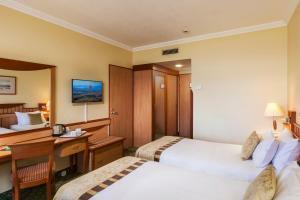 Air-conditioned suite with a living room with a work desk and a sofa bed, and a separate bedroom. 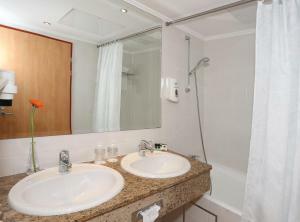 There is an additional toilet in the suite. 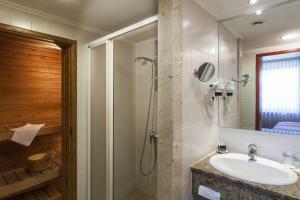 Each suite features a balcony and some also have a private sauna.